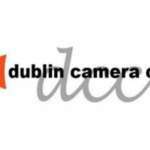 The Dublin Camera Club | Part-time Photography courses in Dublin. Dublin Camera Club list Beginners Photography courses on Nightcourses.com. Next classes commencing September. Inquire for September classes 2019. Booking available soon. Founded in August 1945 when a group of Dublin photographers felt that the entry conditions of Photographic Society of Ireland were too high to attract those starting out in photography, so they got together and decided that there was a need in the city for another camera club. The inaugural meeting was held on November 5th in the old Jury’s Hotel in College Green at 8 p.m. The meeting took the form of a monochrome lantern-slide lecture showing photos taken by Harry Braine on a trip through pre-war Holland, Belgium and Germany. The club’s first president was a man named James Wilson. The club is currently headquartered in a dedicated three-story premises in 10 Lower Camden Street, Dublin 2 which provides members with the perfect central location for the club’s comprehensive range of facilities and activities. 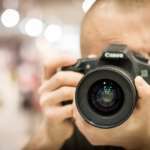 In recent years, as photography and the visual arts have become ever more accessible by digital and electronic technology, the Dublin Camera Club has established itself as the city’s leading provider of evening classes in photography. The club contributes to the regeneration of the city by providing activities in the premises on week nights, and at weekends.